But how did he actually hear about Atlantis? How could he write his 2 accounts on Atlantis, Timaios and Kritias? The oral tradition is as follows: Egyptian priests – Solon – Dropides (Solon´s near friend and Plato´s great grandfather) – Critias the older (grandfather of) – Critias the Younger (uncle of) – Plato. Plato writes in the dialogue Critias a rather mythological narrative how Atlantis got its king and leaders: The god Poseidon desired the woman Cleito, who lived alone in Atlantis (as her father and mother were dead), and they bred 5 pair of boy-twins. One was made a king and the rest were made leaders. Poseidon surrounded the hill where Cleito lived with still bigger rings of alternately water and soil in order to protect her. Now Plato tells how the inhabitants dug a canal from the outer ring of water to the ocean. It was 9 km. long, 93 m. wide and 31 m. deep! They also built the metropolis, harbour, docks, walls, the racetrack, sports grounds etc. He continues describing how Atlantis looked, its royal power, system of justice, its laws and its military. The minds of the kings were saturated with truth and grandeur. Finally Plato narrates how their good and just minds degenerates into covetousness and lust for power. This causes the god of gods Zeus to gather his associates in order to punish the Atlanteans. The account ends here. The only historic known source on Atlantis is Plato´s two dialogues Critias and Timaeus. 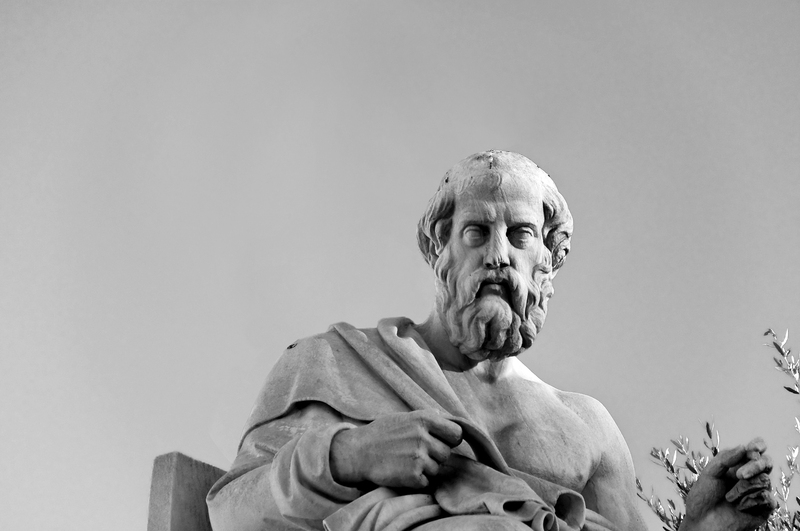 Plato (427 to 347 BC) wrote his accounts as conversations thus the name dialogues. Plato´s source is Solon´s (640 to 599 BC) oral and written (now lost) account that originates from conversations with Egyptian priests during his visit there.